Sugar Shack, one of the infamous, modern donut shops of America, straight from the heart of Richmond, Virginia. I think it is safe to say that thanks to this donut shop, donuts have become the new “cupcake” of DC, which is fine by me. I think it is time for another confection to have some attention. I have been procrastinating about trying this place out in Alexandria for months. I do not have a family so there is no real need to get a box of a dozen donuts unless it is for work or if I had an unusual, intense craving. Additionally, I live on the other side of town so I had to have some extra motivation to get up to make the trip. 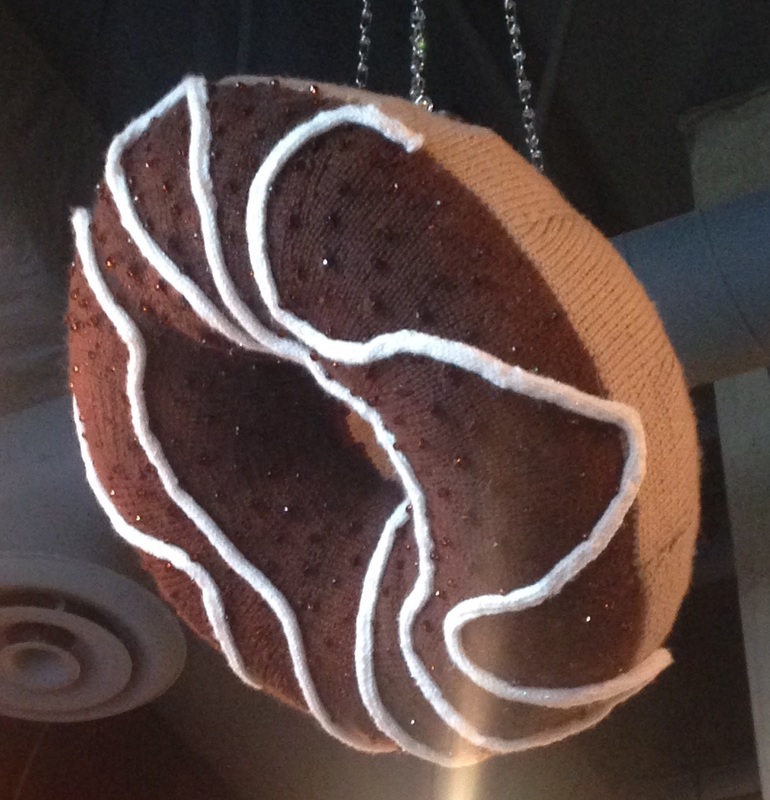 Before I go into the donuts themselves, I must say that as a professional knitter, I was impressed with the oversized, knit donuts hanging from the ceiling. There was not much of a visible copy of the menu inside so you have to go by what you can see or what is listed online if you have a smartphone. I was told by word of mouth that I had to try the Tastes Like a Samoa™ donut, and despite my inclinations of taking the Mystery Box of a dozen donuts, I just stuck with my one donut. Results? First, the donut alone was perfectly baked. You can feel your mouth break through the crust into a soft pillow of dough that had just enough of its own chewy texture. The icing on top is simply a mysterious masterpiece of a Samoa Girl Scout Cookie that I have yet to figure out myself dusted with coconut. I had an impression that the icing was somehow baked under the crust because it absorbed into the dough like glue. The donut was a sure winner, and I am pretty sure I will be back next weekend to try more. What I recommend after finally trying these new gems of the DMV area? 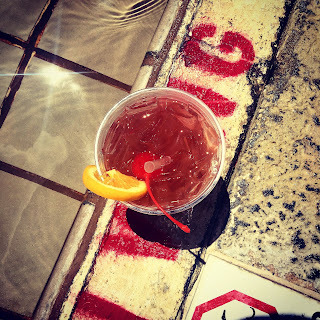 Buy the Mystery Box to discover more of what Sugar Shack’s menu has to offer. Luckily, it is located near the Four Mile Trail in Alexandria so if you really feel guilty after devouring these treats, you can always go for a run.